Home › Cosmetic Dentistry › Help! My Crown Came Off! Help! My Crown Came Off! You are chewing an apple and hear a strange sound, then something in your mouth feels wrong. One of your crowns has come off. Chances are, it can be re-cemented at Cornwall Dental Arts. This may seem like a no-brainer, but we are mentioning it because it is really important. Carefully take it out of your mouth. If you accidentally swallow it, you will have some extra problems that aren’t pleasant. We will schedule you an appointment ASAP and advise you on whether you should use temporary cement to re-attach the crown until you can get into Cornwall Dental Arts – Family and Cosmetic Dentistry and have it permanently re-cemented. Use a toothbrush to closely clean the crown and the unprotected partial tooth. 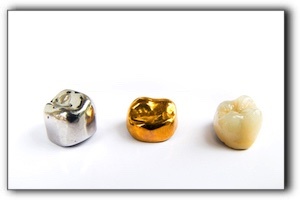 While waiting for the crown to be re-cemented, skip substances that are chewy, sticky, or crunchy. At Cornwall Dental Arts in Cornwall ON, dental crowns are one of our cosmetic dentistry services. Schedule an appointment with us today.